Use the form on the right for your specific request. ALL BLUE B.V. works directly from the factory and also through a dealer network. Contact us, to find out more. If you want to be a representative, contact us. We will contact you in a short term. Lifting boats that's what we do! Durable and user-friendly products for private owner, governments and professionals. We believe in standard high quality, sustainability and low environmental impact products. 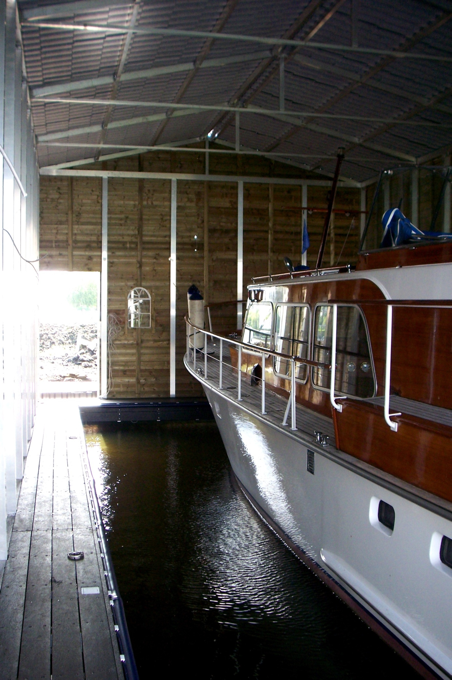 Industrial and robust design are the characteristics for the Floating Boathouse. The boathouse are made out of durable and marine resistant materials. The frame is a self supporting structure and is welded together in the factory all other materials used will be integrated up to the clients wish. The floating structure will foresee in a long lifespan also during heavy weather conditions with minimal maintenance need. 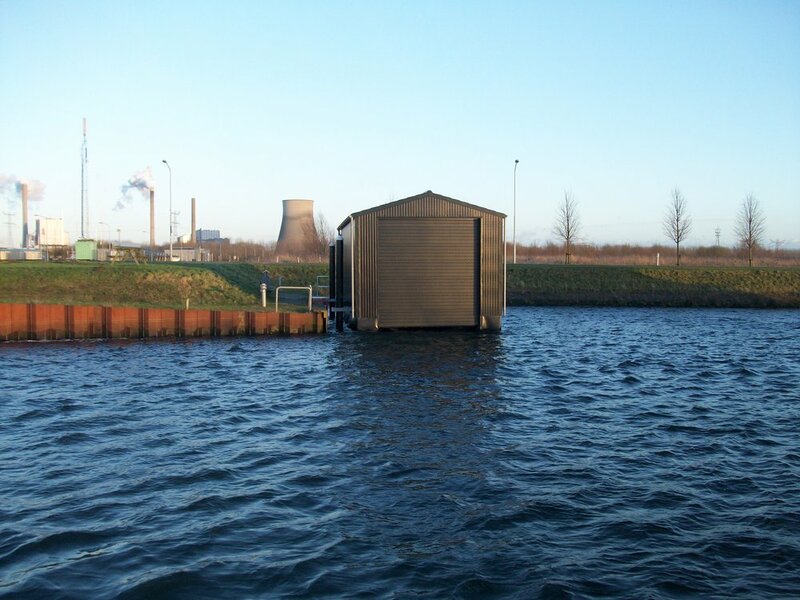 The design of the boathouse is according the EuroCodes April 2014. All the ALL BLUE Floating Structures are produced according the EuroCodes April 2012. All floating structures are delivered with drawings and calculations.